To some people, moss between their patio bricks creates an aged look to their gardens and adds to the overall ambiance that they are trying to create. To others, the moss is just unsightly. However, there are easy ways to eliminate the moss from between patio bricks. The methods require a short amount of your time and are inexpensive. The perfect growing conditions for moss are dampness and shade. 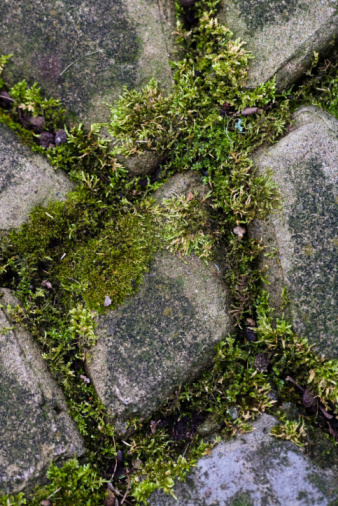 So, if you have moss growing between your patio bricks, one way to eliminate the moss is to correct the conditions that encourage moss to grow. Because they love shade, consider pruning overhanging trees and shrubs to let some sunlight into the area. Another contributing factor may be over-splash from your sprinklers. If this is the case, adjust your sprinklers so that they do not splash on this area. Moss that has established itself between patio bricks can be removed with a stiff-bristle brush. This is easily done because moss does not have any root system. Mix a solution of water and 10 to 20 percent bleach and scrub the area where the moss was. This should discourage it from growing back. Because bleach is a lightening agent, test a small area of your patio bricks to ensure that the bleach mixture will not change the color of your patio. A pressure washer can also be used to blast the moss away. However, the power of a pressure washer may cause severe damage to your patio if not used correctly. 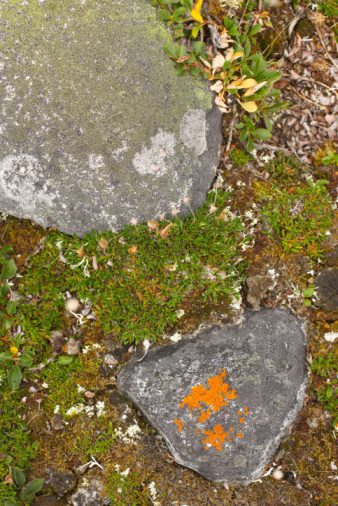 There are herbicides on the market that can be used for killing moss. However, adding chemicals to the environment should always be avoided if possible, especially because you can rid your patio of moss through other non-chemical means.